ACD organised a trip to Brussels where we met different people who work for or with the EU as well as employees from Slaughter and May. For me leaving the country even if it’s for a small amount of time is always exciting. A change of environment helps take your mind off things (mainly school) and allows you to discover and learn something different. The trip to Brussels did that as we went to different places meeting different people. Living in a country where a lot of the mainstream media and a number of the political parties are often critical of the EU, the trip allowed us to see a different side to what we are used to which improved our understanding. Living in a country where a lot of the mainstream media and a number of the political parties are often critical of the EU, the trip allowed us to see a different side to what we are used to which improved our understanding. We first listened to representatives from the different countries in the EU discuss different subjects at the European Economic & Social Committee (sounds long and technical I know but it did wonders for my CV). Though the stay was brief perhaps maybe more brief than I would have liked, the fact that the other students and I could now say ” We went to the European Economic Social Committee” was sure worth the few minutes we spent tin that room especially for a student like me with a huge interest in politics. One key factor in any of these places is also how good their food was and in this case they sure did not disappoint. Is it true the EU block off trade with the Caribbean Islands? Why is that? What does Turkey have to do to join the EU? What exactly does your job require you to do? If the UK leave the EU how bad would that be for the country and the rest of the countries involved? etc. The presenters were clearly surprised at the combination of the amount of knowledge and interest we had and the amount of questions we asked. We were left well-informed and I personally learned more about the EU, what they do and how they directly affect the citizens in this country. This Q and A style of presentation should be exercised a lot more as it is more direct and to the point allowing us to learn exactly what we wanted to on the subject and makes it less boring and different to that school assembly sit down and listen while trying to stay awake first thing in the morning vibe we are sometimes given. 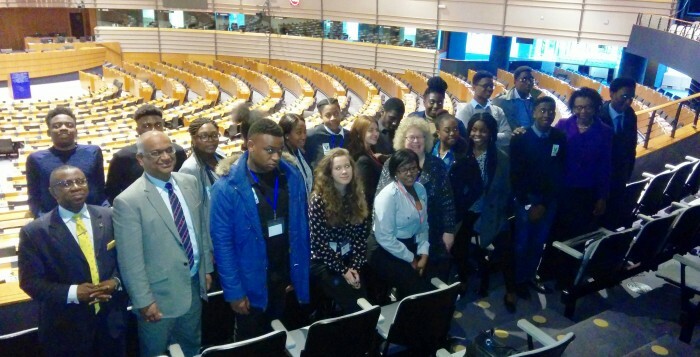 We then went to the European Parliament where we got to see listen to Green Party MEP Jean Lambert talk about the purpose, accomplishments and different roles within the Parliament. Lambert also allowed time for questions which may have intended to be around the subject of the Parliament but ended up highlighting the fascination we have in this country with the green party as the questions were mainly focused on the policies and ideas of the Party. Questions such as are young people a deliberate target for the party? and statements such as ‘your policies are cute but unrealistic.’ A good response was given to all questions and statements giving as more knowledge about the EU and Green Party. Whether or not you like or dislike the EU, one thing that cannot be denied is the huge impact it has had on all of us in this country. 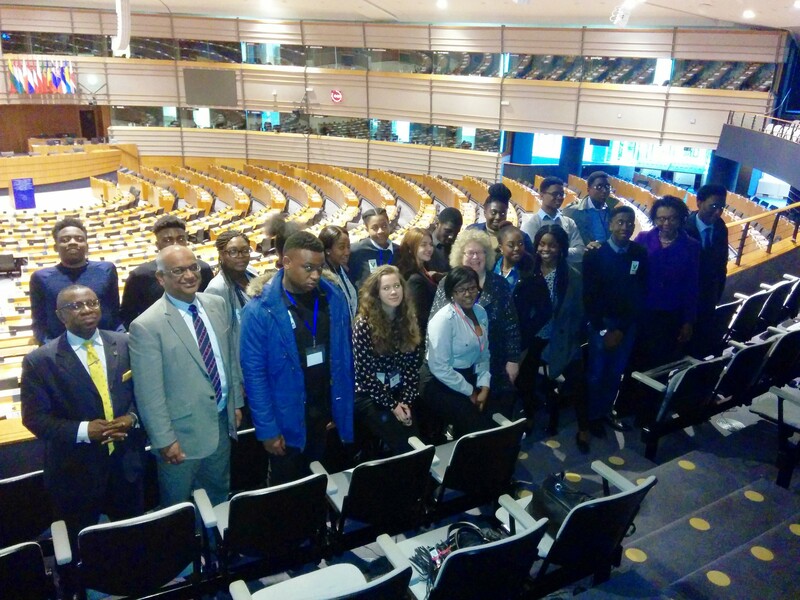 The next day we attended the European Parliament’s museum where we learned the history behind the formulation of the EU and the many different activities they have engaged in. At this point, it became apparent to me just how much of a huge impact the European Union has had on us – Britons. As a person already interested in politics, I was aware of the importance of the EU but to actually be in the places these meetings are based and looking at their works in the museum gives a whole new perspective. After the visit to the museum, we had one last stop at the law firm Slaughter and May. Employees at the firm spoke about their jobs, gave advice to students who were considering studying law in the future and information on future plans for the single market. We as a group were still armed with many questions which we were given a chance to ask at the end of the presentation. Another enjoyable experience was the perfect way to end the this trip as after the visit to Slaughter and May, we made our way back to England. Overall, the trip to Brussels was well organised and coordinated. I can only speak as an individual, but I would like to believe that I was not the only person who left learning many new things and was motivated by this short stay. Going to the EU headquarters, seeing close up where the Members of the European Parliament have their meetings and learning more about what the EU actually do has made me pay a lot more attention to the works of the EU and value the importance and purpose of what they do. Whether or not you like or dislike the EU, one thing that cannot be denied is the huge impact it has had on all of us in this country. A lot of negativity and support for the EU has been thrown around recently but seeing how it works close up has allowed us all to make the decision for ourselves after gaining more knowledge. I thank all of the ACD staff and organisers of this trip. 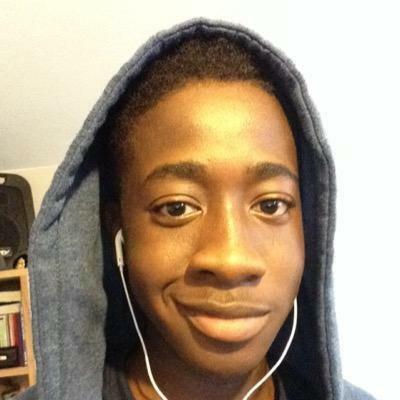 Jalal Pamire-Muhammad joined ACD in the summer 2014 where he attended ACD's London Summer School for Sixth Form students. A current year 12 student with a strong interest in politics and business, one of his lifelong goals is to make an impact be it big or small that will improve and benefit not only himself, but other people.